SUN, SAND, SNORKELING IN AROA MARINE RESERVE @THE RAROTONGAN BEACH RESORT & SPA! BEST AVAILABLE RATE FOR KIA ORANA CLUB MEMBERS ONLY! WHY YOU & YOUR FAMILY NEED TO ENJOY A MEMBERS ONLY RAROTONGAN SUN, SAND & SNORKELLING IN AROA LAGOON MARINE RESERVE FAMILY BEACH HOLIDAY @ THE RAROTONGAN BEACH RESORT NOW! Unplug the kids from all their electronic gadgets and re-connect as a family at The Rarotongan Beach Resort & Spa, located on the pure white sands overlooking Aroa Lagoon Marine Reserve which is the best marine reserve located directly in front of any resort in the whole South Pacific. Maybe bring the grandparents along too? Why not bring your best friends and the kids best friends as well on your MEMBERS ONLY Sun, Sand & Snorkeling in Aroa Lagoon Marine Reserve Family Beach Holiday? So often, we don't have the time for a relaxed reunion of family and friends in our busy lives. A MEMBERS ONLY Sun, Sand & Snorkelling in Aroa Lagoon Marine Reserve Family Beach Holiday @ The Rarotongan Beach Resort & Spa is the perfect way to reconnect with those you love. Almost 20 years ago, The Rarotongan worked with the local chiefs and community to establish the Aroa Lagoon Marine Reserve. During that time, the marine life has re-generated exponentially so that it is now like a gigantic aquarium with abundant, friendly fish that are used to people swimming with them in the sparkling clear waters. The pristine Aroa Marine Reserve is the longest established marine reserve on Rarotonga and was recently re-dedicated in a moving ceremony led by the local chiefs involving the local community. Aroa Lagoon Marine Reserve is the most diverse marine eco-system on Rarotonga. It is a natural fish breeding site and marine biologists have identified hundreds of different species of fish, coral and other marine life in the reserve including Butterfly Fish, Picasso Trigger Fish, Moorish Idol, Parrot Fish, Sunset Wrasse, Unicorn Fish, Squirrrel Fish, Lion Fish, Octopus, Snowflake Eels, Moray Eels, Starfish, Trevally, Goat Fish, Emperor Angel Fish and occassionally even Turtles and Rays visit the reserve! 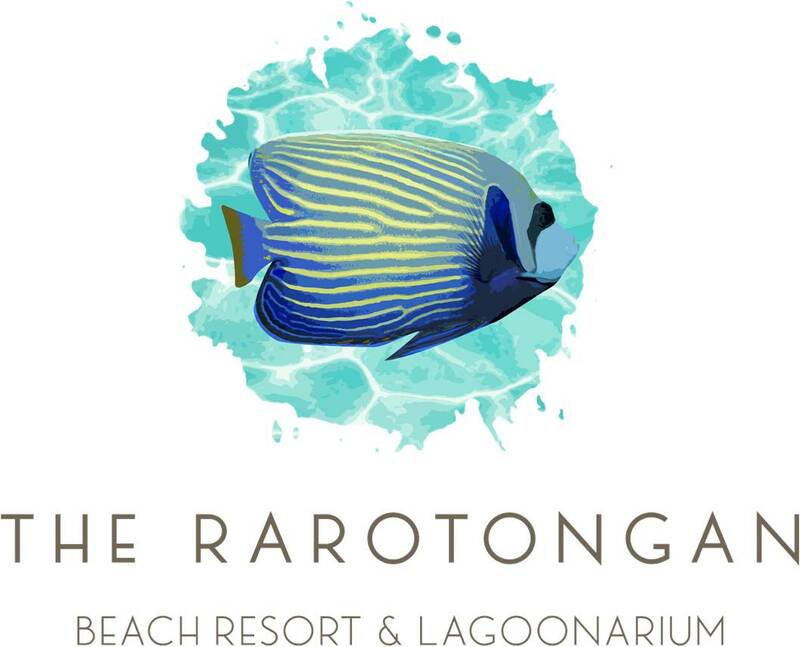 As the only resorts located directly on the Aroa Lagoon Marine Reserve, The Rarotongan Beach Resort & Spa and Sanctuary Rarotonga - on the beach take particular care to maintain the cleanliness of the waters in the Aroa Lagoon Marine Reserve Lagoon. Please fill in the form below so we can email you a tailored quote using the BEST AVAILABLE MEMBERS ONLY Rates or call your friendly Kia Orana Club Coordinator us on (+682) 25-800 or email on members@therarotongan.com to reserve your MEMBERS ONLY Sun, Sand & Snorkeling in Aroa Lagoon Marine Reserve Family Beach Holiday @ The Rarotongan Beach Resort & Spa. CHOOSE THE ACCOMMODATION THAT IS RIGHT FOR YOUR FAMILY! The MEMBERS ONLY Sun, Sand & Snorkeling in Aroa Lagoon Marine Reserve Family Beach Holiday is available in all room categories; Garden Rooms, Beachfront Rooms, Two Bedroom Family Suite, Inter-connected Garden or Beachfront Family Rooms with two separate bedrooms and bathrooms, Deluxe Beachside Suites, Deluxe Beachfront Suites, Grand Beachfront Suite, Honeymoon Pool Bungalow, Two Bedroom Beachside Suite, Three Bedroom Pool Villa. We can also offer combinations of any room types e.g. a Grand Beachfront Suite and a Deluxe Beachside Suite. Please contact us to provide you with a tailored quote using the BEST AVAILABLE MEMBERS ONLY RATES for your preferred room type and length of stay as well as any other requirements such as wedding ceremonies, family celebrations and reunions or renewals of vows. We look forward to welcoming you and your family on your MEMBERS ONLY RAROTONGAN SUN, SAND & SNORKELLING IN AROA LAGOON MARINE RESERVE FAMILY BEACH HOLIDAY @THE RAROTONGAN BEACH RESORT & SPA!